Last week we talked about the tools you need to start your pretty penny budget. Now let’s start talking about what to do with those tools! 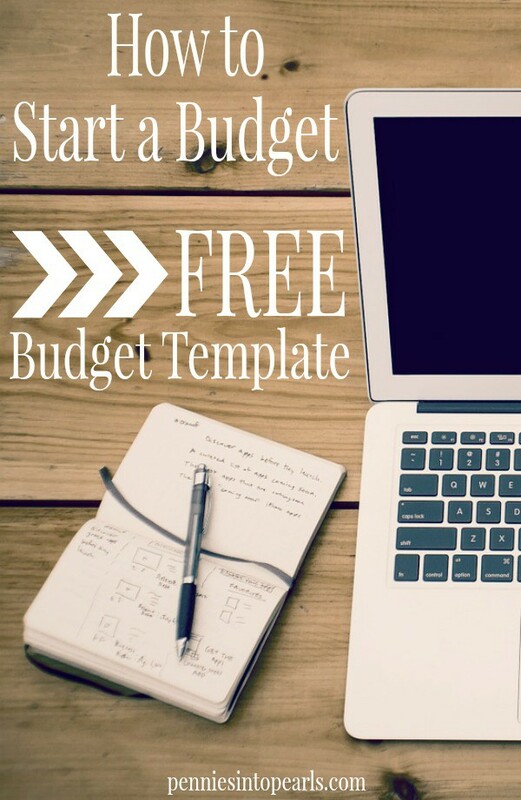 Once you have familiarized yourself with the free budget template I made just for you, you will be ready to start getting your finances under control! In this free budget template it lies out all our bills that need to be paid every month in an easy to see format. Fill out this simple form below and you will receive The Beginners Budgeting Toolkit. 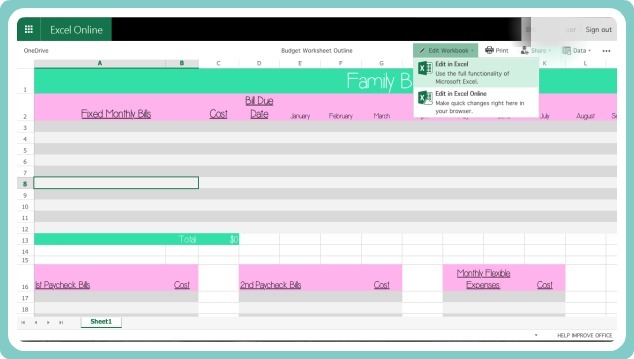 You will get both the FREE Excel Budgeting Spreadsheet and the FREE Budgeting Printables. You will also want to visit this post, Tools for Budgeting, for the basics to how to use this basic worksheet. You need to be keeping track of your monthly expenses and when your bills are due. This way you can know right away what needs to be paid with which paycheck. With this free budget template you are able to assign specific bills to a specific paycheck. This is for a visual reminder to of which bills to pay with what paycheck, and how much will be coming out of you bank account. Sometimes I have to juggle the bills around since we get paid bi-weekly and most of our bills are due on one set day of the month. Occasionally the dates don’t line up and I might need to pay a “2nd paycheck bill” with a “1st paycheck bill”. Make sure you have recorded every regular monthly bill into your budget worksheet. Now that you have your monthly bills in sight, you need to recognize where you are spending the rest of your money. These expenses are called your “Flexible Expenses”. These are anything and everything else that you spend money on that are not your regular monthly bills. Examples of flexible expenses would be groceries, shopping, eating out, gas, ect. These are all expenses whose cost can change depending on your spending habbits. Right now in our family we have a pretty tight budget and I can group most of our flexible expenses into 3 categories; gas, grocery, and eating out. This is where your second tool Mint.com comes in to play. 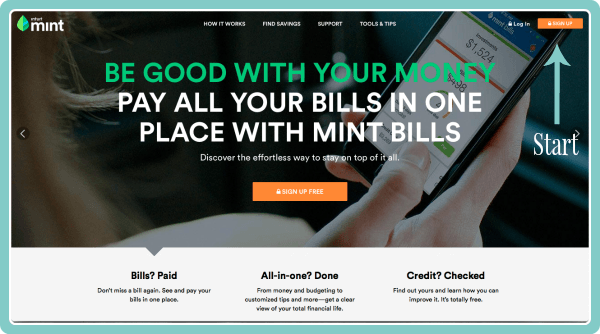 After you set up your free online account, Mint.com tracks every single transaction that you make. This is so important when starting your budget because you need to know exactly where your money is currently being spent. Once you have set up your Mint.com account enter into your Budget Worksheet your flexible expenses.